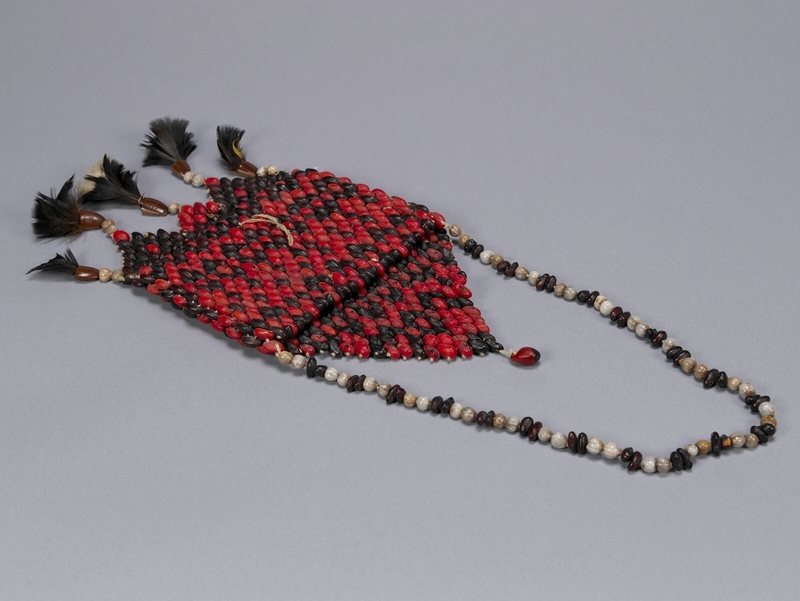 Item number H2.33 from the MOA: University of British Columbia. 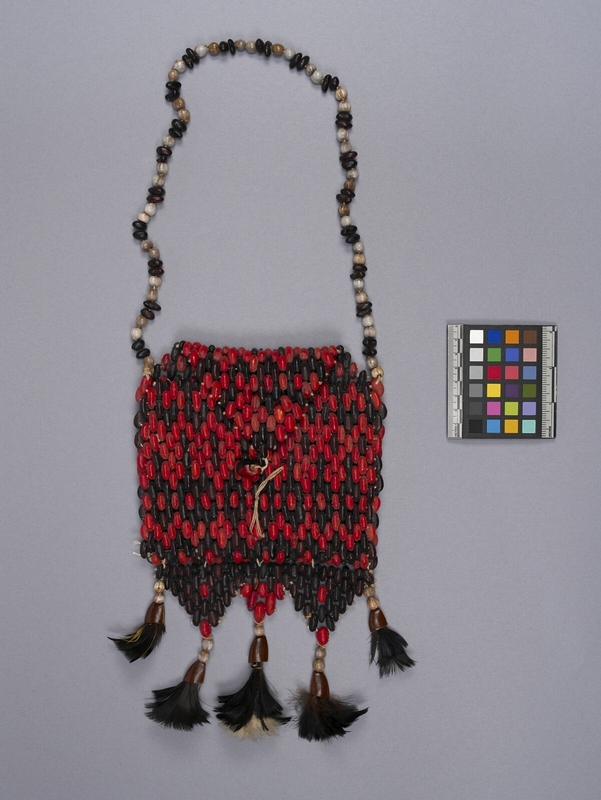 Red and black pouch with a front flap and a shoulder strap; pouch is made from red, black and grey bean-like seeds. 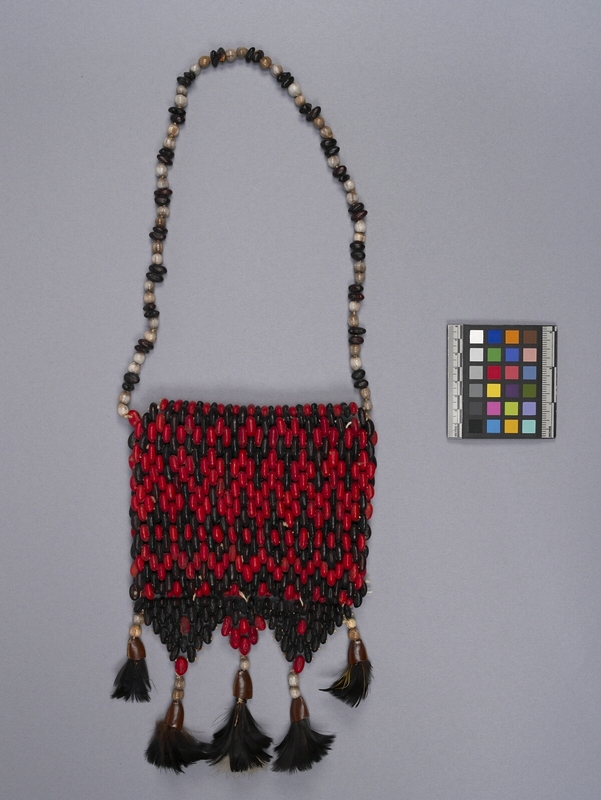 A zigzagging fringe with black feather and nutshell tassels lines the bottom of the bag. fibre, feather, seed and dye ? fibre feather seed dye ?